Cloudy skies this morning followed by strong thunderstorms during the afternoon. Damaging winds, large hail and possibly a tornado with some storms. High near 80F. Winds SSE at 10 to 20 mph. Chance of rain 90%..
Thunderstorms during the evening will give way to cloudy skies after midnight. A few storms may be severe. Low 51F. SSW winds shifting to WNW at 10 to 20 mph. Chance of rain 100%. • Miranda Warner has been selected to receive the Edward T. Lafferty Scholarship at Meridian Community College. This $2,000 award is funded through the MCC Foundation by Edward T. Lafferty. A Quitman native and MCC alumnus, Lafferty established this scholarship to encourage students pursuing a career in the nursing field. Warner, a 2009 graduate of Bailey Magnet High School, is in the third semester of the Associated Degree Nursing Program at MCC. She is a member of the Organization of Student Nurses and the Mississippi Organization for Associate Degree Nursing. Warner plans to continue her education to become a neonatal nurse practitioner. • Billie Rae Brown, Joshua Redmond and Quentin White have been selected to receive the Charles and Doretha Young, (MLK) Scholarship at Meridian Community College. This $1,000 award is funded through the MCC Foundation from the Charles L. Young Sr. Foundation directed by Charles L. Young Jr. Mr. Young senior was a member of the Mississippi House of Representatives and served District 82 for 29 years. He was a strong advocate for education and a loyal friend to Meridian Community College. Brown, a 2007 graduate of Cornerstone Christian School in Rolling Fork, is in the Associate Degree Nursing Program at MCC. She works full-time at Prime Care Nursing, Brandon and plans to become a travel nurse after graduation. Redmond, a 2015 graduate of Clarkdale High School, is in the Associate Degree Nursing Program at MCC and works full-time at Anderson Regional Medical Center. He plans to further his education to obtain a bachelor of science in nursing, a masters of science in nursing, then attend Nurse Anesthetist School at the University of Southern Mississippi. White, a 2013 graduate of New Hope High School, is in the Associate Degree Nursing Program at MCC. He is a MCC resident assistant and member of the MCC Women’s Basketball practice squad. After graduating from MCC, he plans to continue his education to become a nurse practitioner. • Olivia Satterfield and Ashton Taylor Hollingsworth have been selected to receive the. A. C. Johnson Civitan Scholarship at Meridian Community College. This award is funded through the MCC Foundation from an endowment established by the Meridian Civitan Club. The First Ladies Civitan has also contributed to this fund. Dr. Johnson had a distinguished career in education, serving at Meridian Community (Junior) College, the University of Southern Mississippi, the University of Mississippi, and Clark College. He was a member of the Meridian Civitan Club and served as Governor of the Mississippi Civitan District. Satterfield, a 2018 honors graduate of Southeast Lauderdale High School, is a freshman in the University Transfer Program at Meridian Community College. She is a Dean’s List scholar and works part-time at Ultimate Tan. Satterfield is undecided on her major. 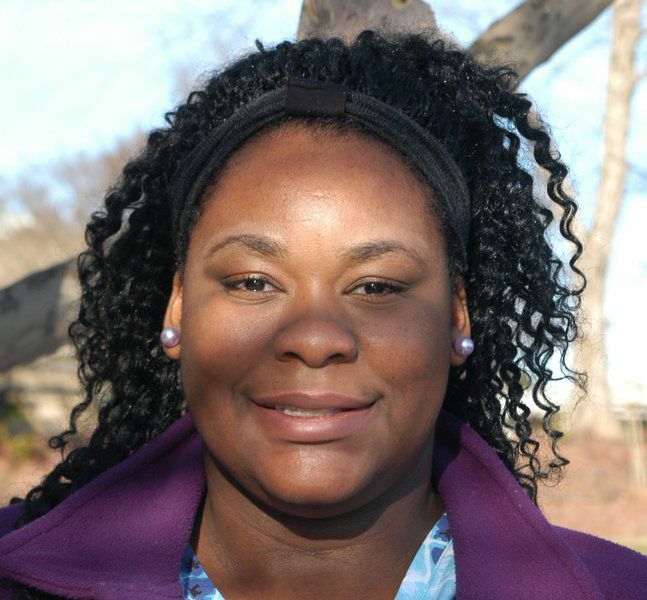 Hollingsworth, a 2013 valedictorian graduate of Clarkdale Attendance Center, is in the Medical Assisting Technology Program at Meridian Community College. She is a President’s List Scholar and works part-time at Clarkdale Pharmacy and Gifts. After graduation, Hollingsworth plans to attend the University of Alabama Birmingham in the Physician Assistant Program and hopes to work in either orthopedic surgery or dermatology. • DECATUR — Regena Boykin, associate director for technology management at East Central Community College in Decatur, was recently selected to serve on Jenzabar's Jenzabar One Advisory Group for Advising. Jenzabar, the college’s administrative software provider, is a leading supplier of software, strategies, and services for higher education institutions. The role of the group is to serve as a customer resource to the Jenzabar Advisory Board and to help set the direction for Jenzabar One for Advising. Membership is made up of product developers from Jenzabar and representatives from the Jenzabar One customer base who have demonstrated an in-depth understanding of the Jenzabar One Advising Module. Boykin has been employed in the college’s information technology department since 2003. 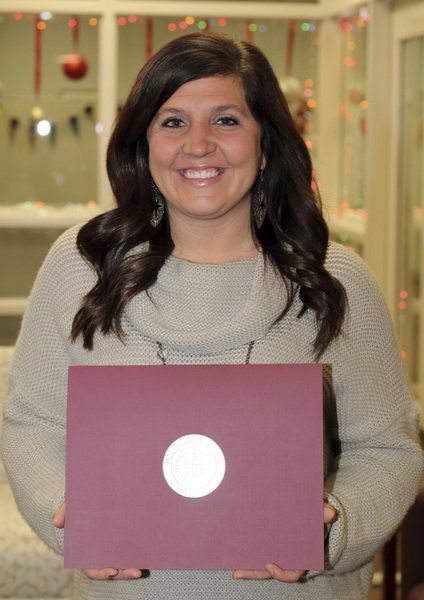 • STARKVILLE — MSU-Meridian education graduates Brandy D. Culpepper of Meridian, Chastity N. Galyean of Enterprise and Karey S. Williams of Union were among11 Mississippi State College of Education graduates recognized as outstanding teacher interns for the fall 2018 semester. Nominated by their classroom mentor teachers, the award honorees are selected based on their resourcefulness, initiative and effectiveness. Those recognized have demonstrated outstanding teaching performance, professionalism and a high level of commitment to the teaching profession. They completed their teaching internships at various public school systems throughout Mississippi. Culpepper and Galyean studied elementary education, and Williams, special education. Rounding out the group of honorees (all fall graduates) and their area of instruction are: Meghan Nicole Ford of Ackerman, kinesiology/physical education; Elizabeth G. Martel of Biloxi, secondary education/ biology; Anna E. Ferrell of Jackson, Tennessee, elementary education; Destiny Hux Austin of Mize, elementary education; Madelaine C. Perry of Naples, New York, elementary education; Catherine Patriquin of Ocean Springs, music education/ instrumental; Lark Lindley of Oxford, elementary education; and Allison E. Tutor of Pontotoc, music education/instrumental. • LOWELL, Mass. — Raven LaFountaine of Meridian, Mississippi, has been recognized for achieving academic distinction at the University of Massachusetts Lowell. LaFountaine, majoring in psychology, was named to the dean's list at UMass Lowell for the fall 2018 semester. TUSCALOOSA, Ala. — The following residents were among 12,332 students enrolled during the 2018 fall term at The University of Alabama named to the Dean's List with an academic record of 3.5 or above or the President's List with an academic record of 4.0 (all A's). President’s List: Tatum Dye, Antonio Padilla Denis, Morgan Ross, Avery Watson and Connor Webb, all of Meridian, Mississippi; Kamryn Gilbert of Collinsville, Mississippi; Alana Clinton of Lake, Mississippi; and Bilal Ahmad of Marion, Mississippi. Dean’s List: Holly Brand, William Cope and Christopher Hicks, all of Meridian, Mississippi; AnnaLaura Campbell and Byron Thomas, both of Bailey, Mississippi; Margaret Moody and Mary Moody, both of Butler; Claudia Rolison of Lisman; and Caroline Wigley of Gilbertown. • TUSCALOOSA, Ala. — The University of Alabama awarded some 2,065 degrees during its fall commencement Dec. 15. Local residents among them were: Tatum Dye of Meridian, Mississippi, bachelor of arts; Patricia Culpepper of Marion, Mississippi, bachelor of science in nursing; David Carney of Gilbertown, Alabama, bachelor of science in mechanical engineering; and James Gunn of Butler, Alabama, bachelor of science in nursing. OKLAHOMA CITY, Okla. — Kaylila Pasha of Meridian, Mississippi, has been named to Oklahoma City University’s Fall 2018 Dean's Honor Roll. Dean's Honor Roll status is awarded to students who successfully complete a minimum of 12 credit hours and maintain a grade point average of 3.5 or higher.